Customer never paid deposit; from 2007 hunting season. 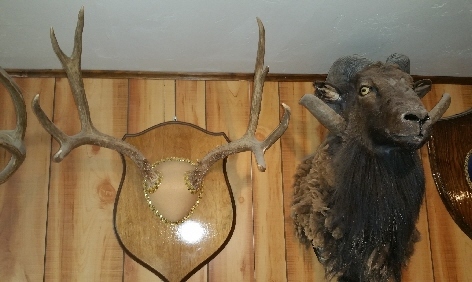 Do NOT have cape (head skin) for a head mount; selling antlers or a antler mount. 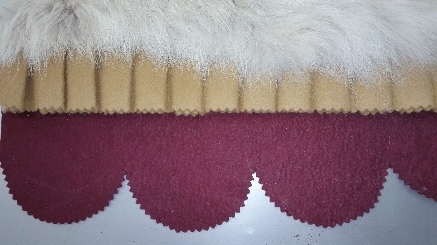 This is the set of Antlers for Sale You can pick your own felt color covering & plaque We have different plaque shapes to choose from also. Email us. If these Antlers are mounted they can look like the antlers set below... It is is excellent condition! Sometimes hunters do NOT take care of animals when harvested, cuting off... feet, toes, claws, tail, or parts of the head... ears, lips, eyes etc., making the hide un-useable for a mount. This bear has all the parts, like I said, in excellent condition. Just a few holes that can be sewed closed. It can be put into either a... Bear Rug or a Lifesize Mount. I will give the hide for free to you IF you pay the price for either a Rug Mount or a Lifesize Mount. 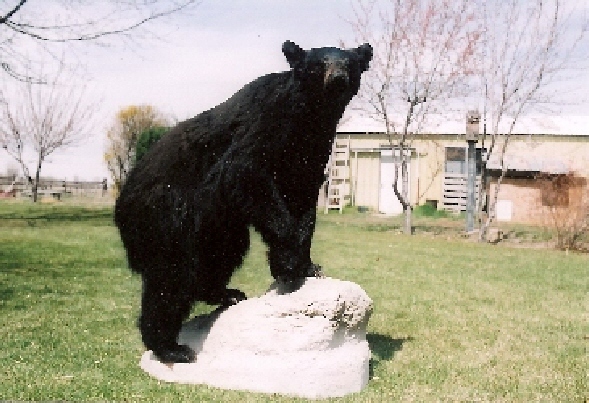 We DO have a picture of a past Lifesize Bear mount from a past customer. Below is a pic of that Bear Mount on a artificial rock! 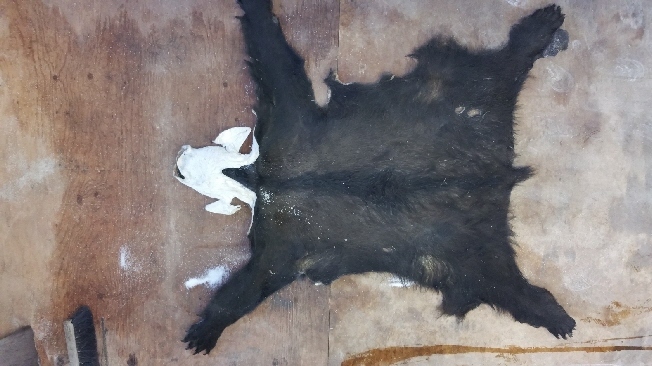 This is a Black Bear lifesize hide that was given to me; we have done paperwork to have it legal. The hide is salt dried only, not tanned yet. The head is Ok its just turned inside out and salt dried ready for tanning; as is the rest of the hide that you can't currently see because your viewing the fur side. When tanned and then mounted the head will be turned right side out. The little bit of white on the black fur is some salt that has spilled on the fur, no problem. The ears are also visible on head being currently also turned inside-out. Lifesize Bear mounts are $4,000.00. Since taxidermy is a luxury we do have a payment plan. NO INTEREST!! Customers that PAID the DEPOSIT on their mount (which is half the cost) then, they never came and paid the balance and picked up their mount... OR... they NEVER PAID THEIR DEPOSIT AT ALL. Will sell you the following Mule Deer RACK to YOU... 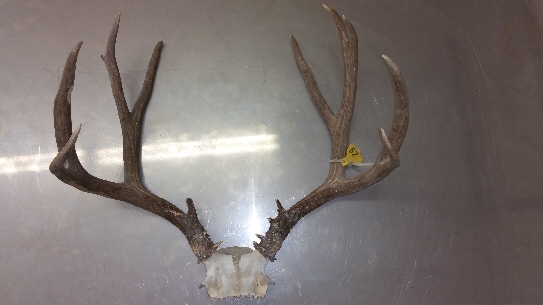 IF ...you just want the antlers ONLY... OR... pay for a Mule Deer Antler Mount. IF you find a cheaper price from a competitor within 200 mile radius of us; we will match their price + 10% off in addition.